We’ve been living in our new house for ten days and it is mostly put together now. The past two weeks from our expected close date to the actual close date to moving mid-week was pretty stressful, but as of yesterday we’ve felt pretty settled. Buying a house in Fort Collins was a bit of a whirlwind; houses go pretty quickly here unless something is horribly wrong with them, especially in our price range (which was low considering our goal of being as close to downtown as possible). We were lucky to get this house not too far from old town, in a neighborhood loaded with kids, and with lots of potential. Structurally, it’s great. There were a few minor things we knew needed to be taken care of, but nothing too pricey, so we are mostly planning ahead toward some longer-term aesthetic changes. Green carpeting! 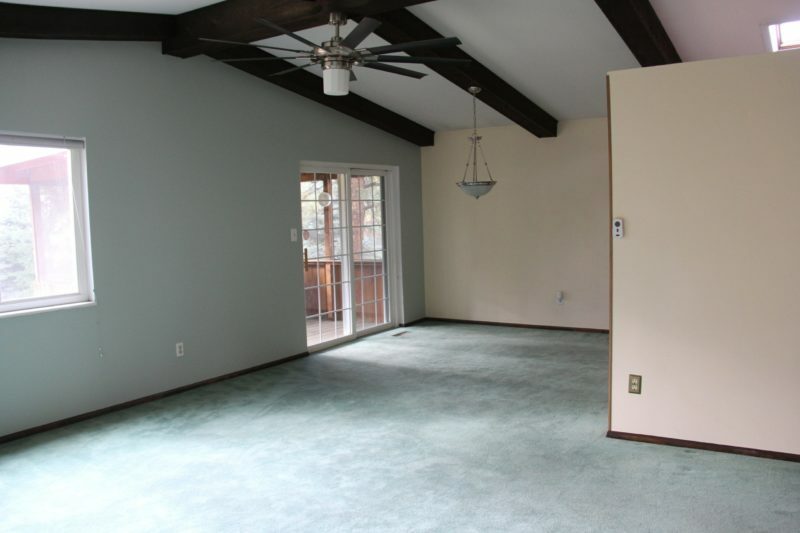 The living room, dining room, and two of the bedrooms have this teal-ish green carpeting. It’s not in bad shape (so we’ll be able to live with it for a while), but boy is it green. And thanks to Zara, we are quickly understanding why a carpeted dining room is less than ideal. Someday, we’ll replace the carpeting with hardwoods and I’ll be happy, happy, happy. like gas stoves in the kitchen (Chris is over the moon) and two closets in our fabulously purple (and green) master bedroom. At just over 2,000 square feet this is also the biggest house that we have ever lived in and it feels massive. 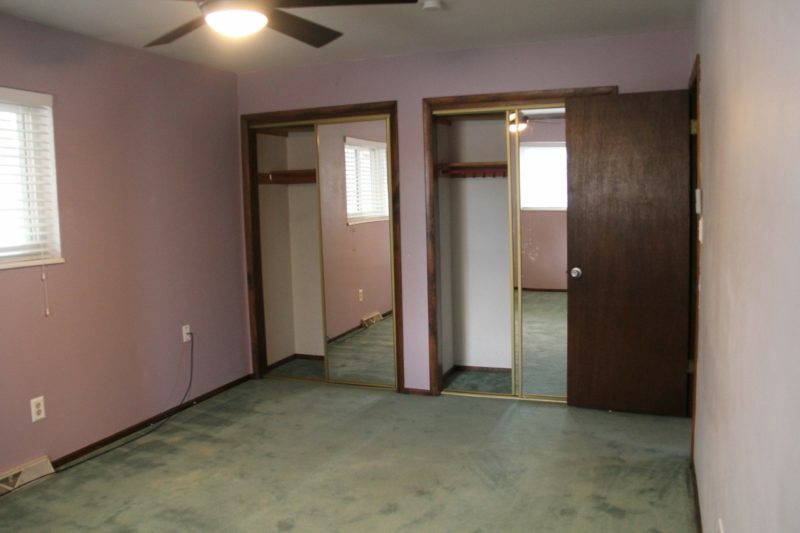 We have two entire rooms – a guest bedroom and a family room – with absolutely no furniture in them. 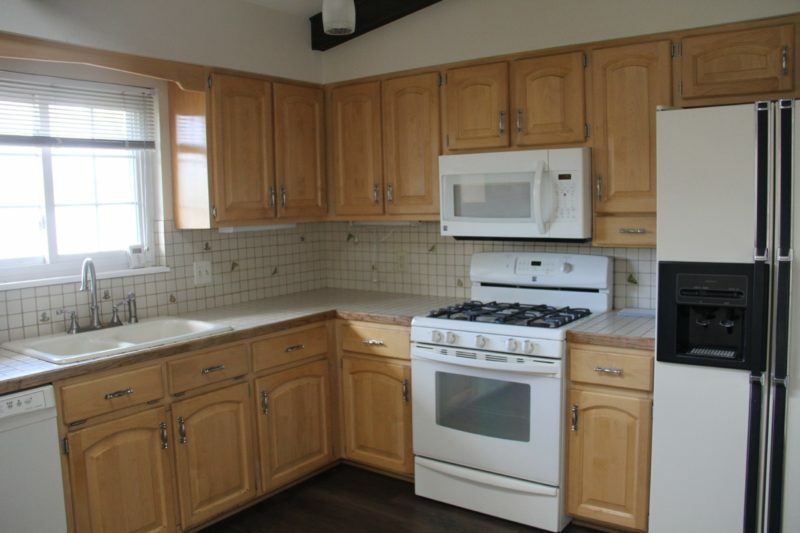 It’s a far cry from our cozy 750 square foot Nantucket cottage. I’m sure we’ll adapt, but right now such a large house feels incredibly luxurious and I wonder how people can live in anything larger. I’ll actually have a room where I can put all of my sewing! 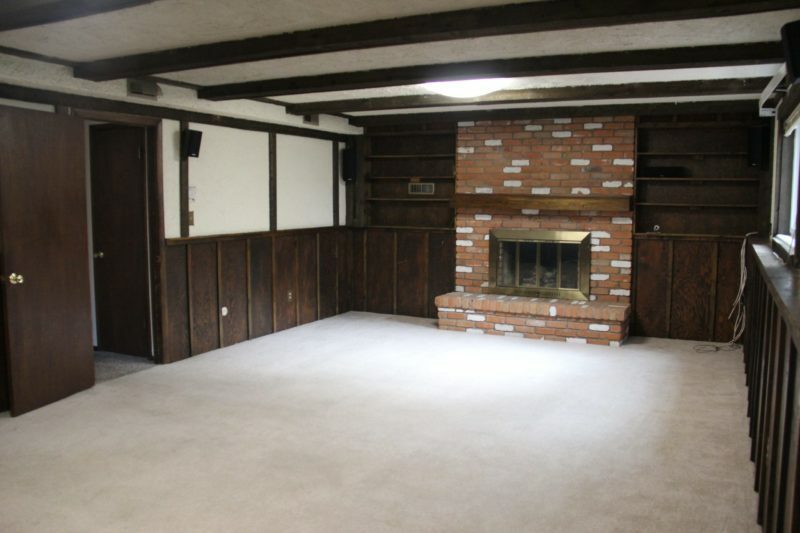 Also exciting is the thought that eventually, some day, we’ll be able to sit around this fireplace (on actual furniture). Hopefully the family room will have a little less of a Brotherhood vibe by then. We aren’t rushing into changing anything or filling empty rooms with furniture just yet. We want to live in it for a while and really think about what we want, plus we decided that we want to get 6 months of living expenses in savings before we spend anything, so don’t expect any DIY or room renovation blog posts right away, but there will definitely be some in the the future. And in the meantime, there will be lots of pinning. Congratulations Amber!! You and Chris really have good budgeting plans. Bravo! Trust me! You’ll definitely grow into it. Haha! Always seems to happen!